Malice of Clipse once reasoned, “If I never sold my rhymes would sound like this...” But he didn’t finish the rhyme, letting his words linger, which made them that much more haunting. 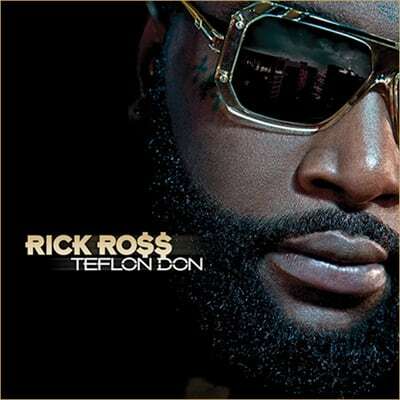 In pivotal moments on Teflon Don Rick Ross does the same—pausing for effect on songs like “Tears of Joy,” “B.M.F.,” and “Maybach Music III”, letting his silence speak volumes about his growth as an MC. At this point we all know Ross never sold what he claims, yet Teflon Don finds Ross using all of last year’s momentum to catapult himself to the height of delusional grandeur. He continues the charade, but we can’t help but play along. Rocking the mic with both bombast and precision, backed by undeniable production, Ross proudly leaves the comfort of potential and delivers what is arguably his best album to date.